ISOCARP assisted the Abu Dhabi Urban Planning Council (UPC) in conducting training programs for young Emirati planners as an ‘Introduction to Urbanism’. This collaboration with ISOCARP is seen an effort towards achieving the grand vision of the illustrious UAE leadership in making UPC a global centre of excellence and quality in the field of urban planning and design, based on the best experiences of local, Gulf and international practice. 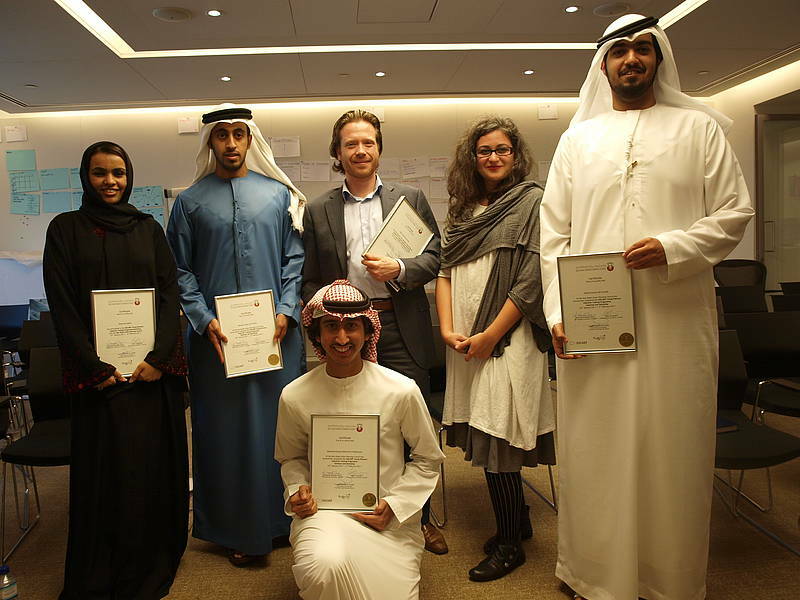 Held as two distinct sessions, Cohort 1 in September and Cohort II in November of 2013 saw participation of Planners and related professionals from the Abu Dhabi Municipality, Al Ain Municipality, Department of Transport and Fujairah Municipality amongst others. The ten modules offered as part of the course elaborated on Planning for Abu Dhabi; the Regional perspective; Historic evolution of cities citing successful projects from the disciplines of Transportation, Urban Design, Economics and Planning Regulations amongst others. The central idea was to provide a holistic perspective to enable them to participate in the future shaping and development of the Emirate’s settlements. The participants presented papers on projects of their choice as part of Assessments for this training. 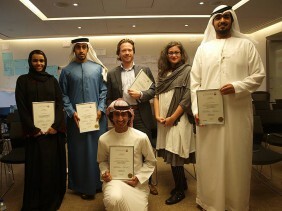 The Cohort I was led by Ric Stephens (U.S.A) assisted by Nupur Prothi Khanna (India) and Yigit Evren (Turkey). Dhiru Thadani (USA) led Cohort II with Daniele Vettorato (Italy), Tomasz Majda (Poland) and Yigit Evren (Turkey). The programs were organised under the guidance of Zeynep Enlil and Piotr Lorens. ISOCARP and the Abu Dhabi Urban Planning Council made an agreement which entailed an „Intensive Training Programme for Young Planning Professionals“ of the Abu Dhabi Urban Planning Council. Founded in 2007, the Abu Dhabi Urban Planning Council is the agency responsible for the future of Abu Dhabi’s urban environments. It is the expert authority that defines the shape of the Emirate, ensuring factors such as sustainability, infrastructure capacity, community planning and quality of life, by overseeing development across the City of Abu Dhabi and the Emirate as a whole. The Abu Dhabi Urban Planning Council considers the constant enhancement of the skills of its staff an integral part of its commitment to ensure best practice in planning. The main objective of ISOCARP, on the other hand, is to share knowledge for improving cities, in all related expertise areas of research, training and practice through various assistance programs such as the YPP Program and the UPAT Program. 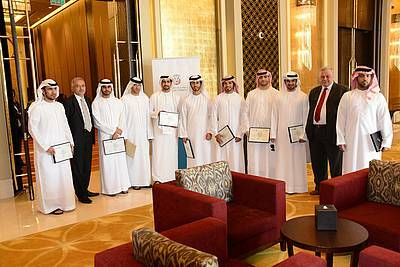 The Intensive Training Program was developed specifically tailored to the present needs of the Abu Dhabi UPC. ISOCARP delivered the program in two consecutive stages comprised of a Seminar Series followed by a YPP Workshop. The overall programme was carried out over a two week period. 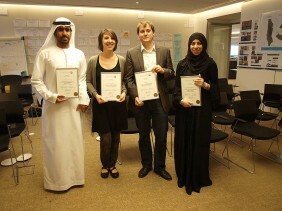 The Intensive Training Programme for Young Planning Professionals aimed to provide young Emirati planners who are responsible for, or will participate in, the shaping and development of settlements, with the principles and practices of effective contemporary urbanism and practical knowledge that are of immediate use to each participant. – Planning Laws and Regulation: Fatma Unsal ( Turkey), very well informed researcher-scholar. – Land Use Control Mechanisms: Ric Stephens ( USA), professional with a comprehensive scope in regional, city and master planning. – Urban Systems: Milica Bajic (Serbia), experienced scholar in the topic and in the international academic life. – Integrated Land Use and Transport Planning: Liang Wang (Hong Kong). Ex-scholar, international consultant, extensively experienced in Asia-Pacific countries. – Traditional Urbanism and Urban Regeneration: Amer Moustafa (Siria-Emirates). Teacher from The American University of Sharjah in the Emirates, deep knowledge of the topic and the local training context. Each lecturer delivered three lectures and one group work session particularly focused in the Musafah workshop area, in an ambience turning each day more friendly and warm. The aim was to give the delegates a theoretical background related to practical solutions to best practice case studies. At the end of this very intensive week, the delegates felt like they would need some time to digest all the information received and expressed their satisfaction for the knowledge shared with them by the ISOCARP members, who also felt very fulfilled with this memorable experience.